Looking for fancy statistics that will make you look cool at the pub? Goldman Sachs has you covered with their report “The World Cup and Economics 2018”. It features an interview with Carlo Ancelotti, explains GS’ predictive model (which, like all of us in the pub, overestimated Germany and underestimated Sweden), and presents a one-page report for each participant. It also has a very funny section on World Cup trends viewed through a (light-hearted) economic lens. For example, you may not have noticed the relationship between the number of offsides and mutual trust numbers. Ending up ‘beyond enemy lines’ more frequently as a strike force may suggest there is an impulse to ‘do it alone’ rather than attack as a mutually reinforcing group. 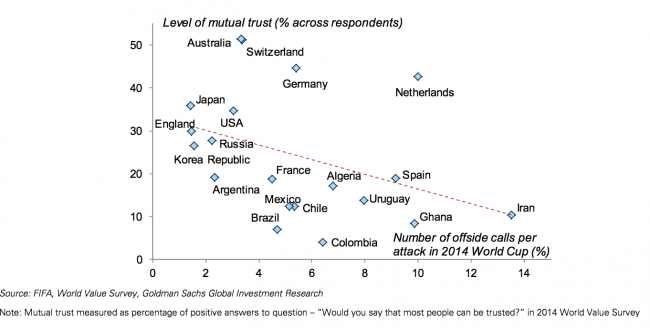 Indeed, the number of offside calls per attacking action for each team in the 2014 World Cup was negatively correlated with the level of mutual trust reported by the World Value Survey for the respective country. The Economist addresses the million-dollar question that keeps us all awake at night: what makes a country good at football? 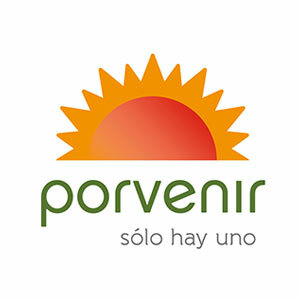 If tiny Uruguay can be so successful, why can’t much larger or richer countries? The question also appears to torment Xi Jinping, China’s president, who wants his country to become a football superpower by 2050 and plans to create 20,000 new training centres, to go with the world’s biggest academy in Guangzhou, which cost $185m. 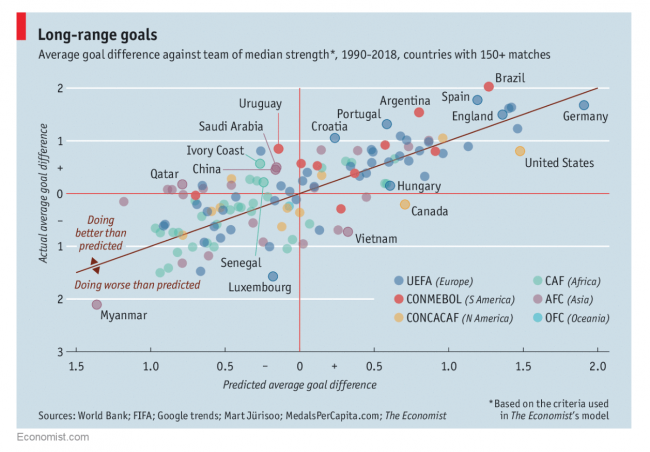 The Economist has built a model to identify the underlying sporting and economic factors that determine a country’s footballing potential based on measures of wealth, popularity of football, and home advantage. The model explains 40% of the variance in average goal difference for the teams, although it leaves plenty of outliers (see figure below). The most chastening finding is that much of what determines success is beyond the immediate control of football administrators: those in Africa cannot make their countries less poor and those in Asia struggle to drum up interest in the sport. Nonetheless, officials with dreams of winning the World Cup can learn four lessons from the model’s outliers and improvers. First, encourage children to develop creatively. Second, stop talented teenagers from falling through the cracks. Third, make the most of football’s vast global network. And fourth, prepare properly for the tournament itself. David Butler on his blog The Economics of Sport has a breakdown of the costs structure for the last four World Cups. It turns out that Goal Line technology – introduced to avoid ghost goals in high-stakes matches – was very expensive, making up 16% of total costs for the Brazil 2014 tournament. Figures for the Local Organising Committee increased significantly for Brazil 2014, doubling from the previous three World Cups. Prize money has also increased over the years. The biggest increase has been for the tournament winner: in the 2006 Germany Cup, the Italians received $24.5m for winning; in the 2014 Brazil tournament, the Germans received $35m; And the winner of Russia 2018 will receive $38m. Nations and cities are often willing to host the World Cup by hopes of boosting tourism, creating new jobs and business opportunities. 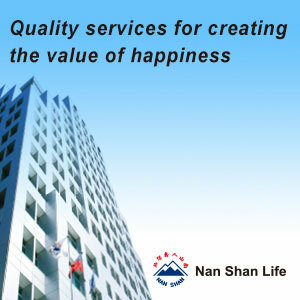 But what is the impact on the local economy? 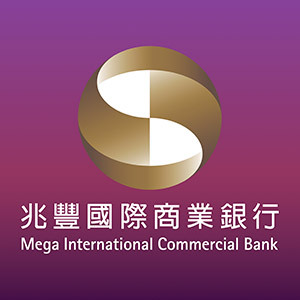 Some indications can be found in the literature looking at the economic impact of hosting mega-sporting events like the Olympics. 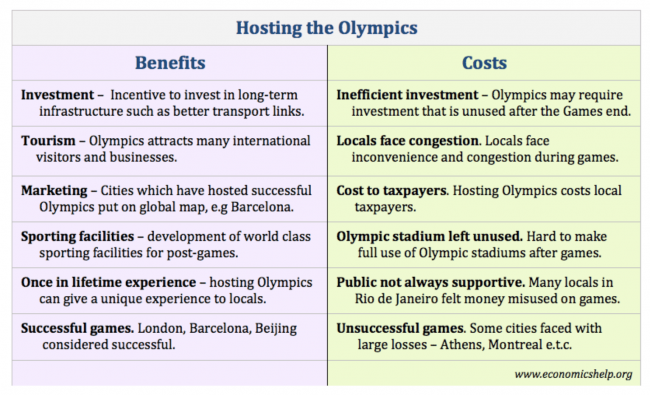 Tejvan Pettinger has a pro/cons table about hosting the Olympics, much of which can also be applied to the World Cup. 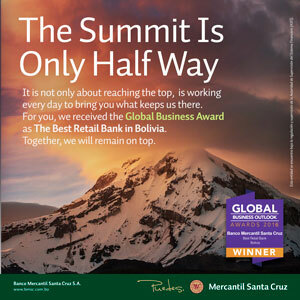 On the plus side, investments, tourism and marketing opportunities are big drivers. On the negative side, however, inefficiencies, congestion and the taxpayers’ cost are possible problems. 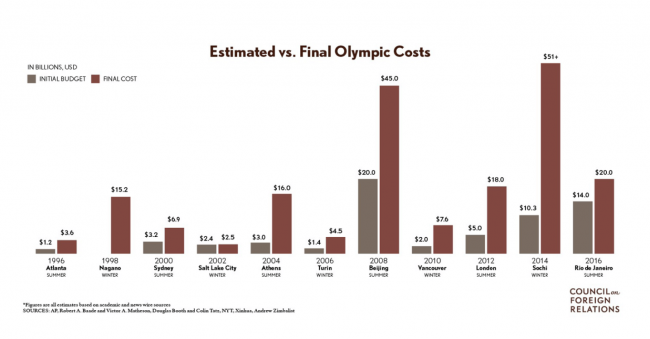 James McBride at the Council on Foreign Relations wrote a long explanation on the economics of hosting the Olympics. He points out how the final costs are almost always strikingly higher than the initial budget (see figure below) and, as the costs of hosting have skyrocketed, revenues cover only a fraction of expenditures – with little revenue going to the host. Alexander Hurst looks specifically at the economic and social impact of the 2010 World Cup. South Africa directly spent over four billion dollars to host the Cup in addition to spending on infrastructure and transportation improvements. This spending directly created 130,000 construction jobs and the World Cup as a whole indirectly resulted in a gain of 415,000 jobs. Ultimately, the World Cup added 0.5% – or R93 billion – to South Africa’s GDP in 2010. Critiques point to the way many infrastructure projects were carried out and who reaped the benefits. Additionally, many South African entrepreneurs and small business owners were shut out of the potential markets created by games and their attendance by FIFA’s commitment to its corporate sponsorship. Nevertheless, Hurst argues, looking at the World Cup through purely an economic lens masks a large portion of the impact the global footballcan have on a society – especially when that society is temporarily home to the biggest event in the world. In South Africa, the World Cup was about creating pride, commonality, shared stakes in something greater, and showing the world and itself that South African society had achieved an incredible transformation. The World Cup largely succeeded in producing these feelings and increasing social cohesion. Nonetheless, it was marred because even in its success in bringing people together, large and often forgotten segments of South Africa were once again left out. Mirele Matsuoka De Aragao looks at the economic impacts of the FIFA World Cup in developing countries by comparing South Africa and Brazil. Both South Africa and Brazil are leading political and economic powers on their continents and they also have very similar economies which comprise big agricultural and mining sectors in addition to a well-developed manufacturing division. They are also relatively new democracies, but both have low levels of corruption control. South Africa invested $3.12 billion and Brazil spent $15 billion. Matsuoka De Aragao thinks that the biggest legacy left by the World Cup are the transportation and telecommunications infrastructure. South Africa and Brazil have inefficient governments and, if it was not for this mega-event, these investments would not happen so quickly. 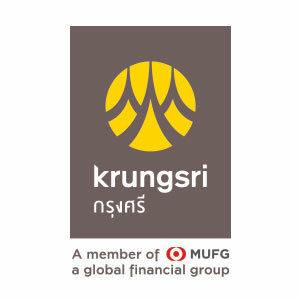 However, the locations where those investments occurred are mostly well developed and safe areas. In other words, they are definitely not the areas that needed the most rehabilitation. Regarding tourism, both countries received less visitors than expected, and tourist spending returned 10% and 2.5% of the total expenditure on the World Cup for South Africa and Brazil respectively. Probably the most significant impact on a developing country is the opportunity cost related to the World Cup. The investments in sport infrastructure could have been invested in education and health, sectors that those two developing countries desperately need to improve. John Bostwick looks at the economics of missing out on the World Cup for the US. The two most prominent economic losers following the US’ surprise failure to qualify are – according to Bostwick – the US Soccer Federation (USSF) and the Fox television network. USSF’s revenue spiked from about $76m to $102min 2014, an increase attributed to the US team’s participation in the World Cup. USSF won’t receive the $12.5m each team gets from FIFA for qualifying for the 2018 tournament and will miss out on potential sponsorship deals, merchandise sales and television licenses. More generally, a failure to qualify is a missed opportunity to create new football fans and players in a country that still has huge untapped markets. As for Fox, it has been widely reported that the network paid over $400 million for the English-language broadcasting rights to the 2018 and 2022 World Cups, outbidding, among others, ESPN. But the failure of the team to qualify may hurt viewership and thus profitability. 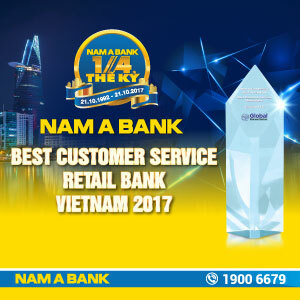 Alongside these two stakeholders, there are countless other corporations, small businesses and individuals that stand to lose money from the US missing out on the 2018 World Cup. One obvious example is sports bars in more populous football hotbeds like Brooklyn, Portland, Washington, DC and Seattle, which may take large hits. 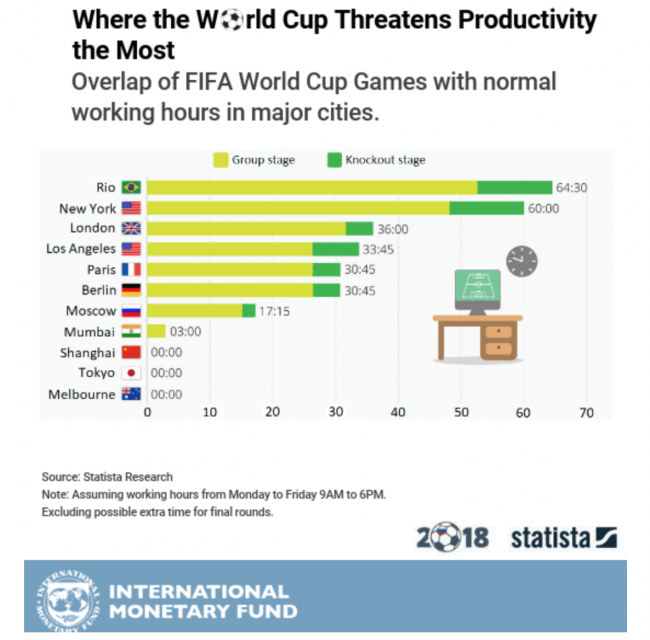 Finally, the IMF Blog would like to remind you that the time you spend watching the World Cup is a productivity loss. Based on the data put together by Felix Richter at Statista, the following chart shows the extent to which games overlap with regular working hours. Richter makes the point that the potential effect of the World Cup on productivity at the workplace depends largely on the time zone: while bosses in large parts of Asia and Australia can relax because of the games starting at night, Brazilian employers should probably cut their workers some slack.